I grew up in an old farmhouse in Michigan’s Upper Peninsula on the north end of the Keweenaw Peninsula, which is known as Copper Island, but I spent many hours visiting Anne of Green Gables on Prince Edward Island and the Babysitter’s Club in Stoneybrook, Connecticut. I had numerous adventures with the Boxcar Children. Ramona Quimby and Henry Huggins were my good friends. In fourth grade, I entered more fully into a fictional world when I wrote my own Nancy Drew mystery, The Ringmaster’s Lost Voice. I thought it was great, but my teacher didn’t think it was original. 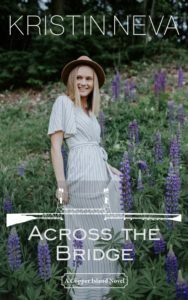 I began journaling when I was in junior high and journaled my way through high school romances and adventures in Chicago, where I attended college and developed a love for the city and a passion for urban youth ministry. After graduating from college, I worked as an urban youth worker at the Milwaukee Rescue Mission where I taught Bible lessons, coordinated a tutoring program, and mentored at-risk youth. 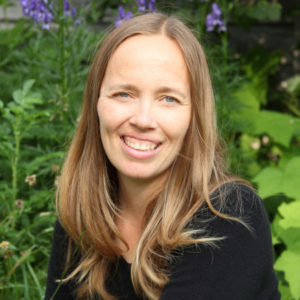 After I got married and became a stay-at-home mom, I turned to creative writing as a way to keep my mind active. A few years later, my husband was diagnosed with ALS, and my journals began to take the form of blog posts, keeping friends and family up to date with Todd’s health and sharing my emotional struggles associated with his progressive disability. 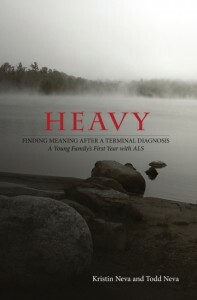 Many of those blog posts eventually found their way onto the pages of Heavy, a memoir about the first year after a terminal diagnosis, published in 2014. Todd is now a quadriplegic, and I’m his full-time caregiver, again living in the Keweenaw. Like the days when I was taking care of my babies, I spend much time at home, and writing has become a lifeline, a way to explore life’s big questions and channel my emotions into the lives of my characters. Thus novels, Snow Country and Copper Country, were born. 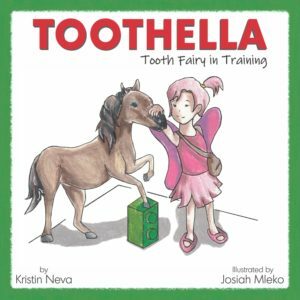 I caught the writing bug, and now have for you Across the Bridge, another Copper Island Novel, and Toothella, a children’s book for ages 3+. 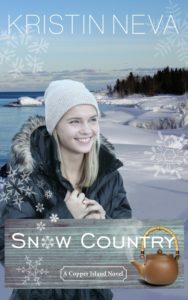 The Copper Island Novels are set on Michigan’s Keweenaw Peninsula, which averages over 200 inches of snow annually. My fictional towns of Douglass and Quincy mirror the real towns of Houghton and Hancock, and although the names of businesses and persons are fictional, the history, landmarks, and spirit of the region described in the novel are real. I hope to introduce you to this beautiful setting and its quirky, rugged residents so that no matter where you are, you can visit the UP and become friends with Beth and Danny, Aimee and Russ, Grandma Lou, Mak, and all the others. Thank you for sharing your story with us. Very excited to meet Beth and Grandma Lou! 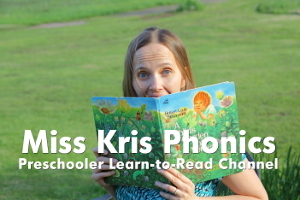 Kristin, you are enormously talented! Your writing soars! When I saw to book on Amazon and the authors name I was immediately drawn to know more abt. her. My last name is Neva also. With it not being a common name wondering if oculd be some ancestry there?? I just wanted to let you know that I have mailed a vendor packet for the Home for the Holidays Gift Mart. My grandfather Isaac Niva (pronounced Nee’-va) was born circa 1859 in the Tornio River valley of Northwest Finland. It’s tough to track ancestry for people whose families came from the West of Finland, where people adopted place names as their surnames. Different families living in the same location may have had the same last name, even though they were not related. If they moved, they would have adopted as their surname the new location’s description. Niva means fast flowing waters, so his family likely lived in a place near fast flowing waters. At some point, our family name was anglicized to Neva, although we still pronounce it Nee’-va. Neva is also a Finnish name, pronounced Naa’-va, and meaning marsh or bog. 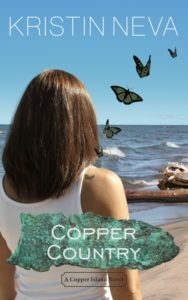 I enjoyed Copper Country book 2. Parts made me cry and others axe me laugh. Good character development. Felt like I was there and part of the story. I’ve been to the UP, I took a sauna, brought back memories. I live in Milwaukee and pictured the details as they were written. Keep writing – want to know more about each character.